Jayden was very busy fixing the motorbike with the help of Harrison while Dylan did some super balancing. 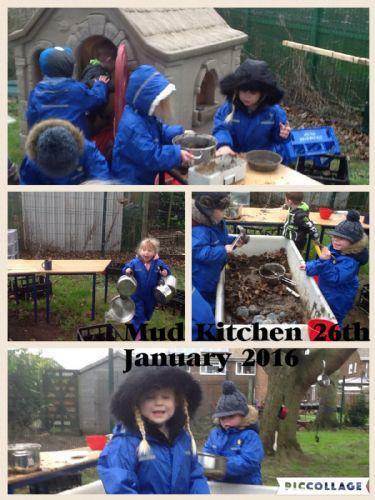 We had great fun in our mud kitchen! Look how many leaves have fallen now! We enjoyed looking at the flowers in the playground and seeing how tall the sunflowers had grown.